Business savvy, bi-lingual, forward thinking global management professional in the high-growth, international arena. Performance–driven career reflecting strong qualifications and impacting leadership in information technology and software companies. Visionary and creative sales approach with a steadfast commitment to team excellence in domestic and international client engagements.Managed cross-organizational teams in large multinationals and cross-company teams in small-tech companies. Proven success in managing global projects/programs and developing new sales and partnerships. Assess go-to-market business scenarios, developing sales, marketing and business development projects and initiatives for clients operating in capital-/asset-intensive sectors globally. Plan interactive workshops/events with prospects, advocating best and next practices for information management in capital intense industries, generating qualified leads for clients. Develop go-to-market industry plans for strategic programs in the enterprise software segment for US-headquartered, global, integration software and technology provider. An alumni program purposed with enriching the learning and career development experience of undergraduate students in the engineering curriculum. Industry Principal charged with developing and managing industry “go-to-market” programs for mature and emerging markets, increasing pipeline coverage to 3X. Business Planning: Created regional industry business plan and collaborated with multi-cultural, virtual business development team across EMEA to over-achieve annual sales of >$50 million in the Real Estate and Engineering, Construction & Operations industries. International Sales Portfolio Strategies: Prepared go-to-market strategy based on portfolio analysis and market data inputs into revenue planning; industry-specific go-to-market programs developed for mature Central European countries and emerging Middle Eastern and Russian markets, increasing pipeline coverage from 0.5 to 3X overall. Partner Eco-system Cooperation: Cooperated with 3rd-party software and service providers to proliferate industry IS/IT standards and enable new business process capabilities, resulting in boost in sales of software and implementation services. 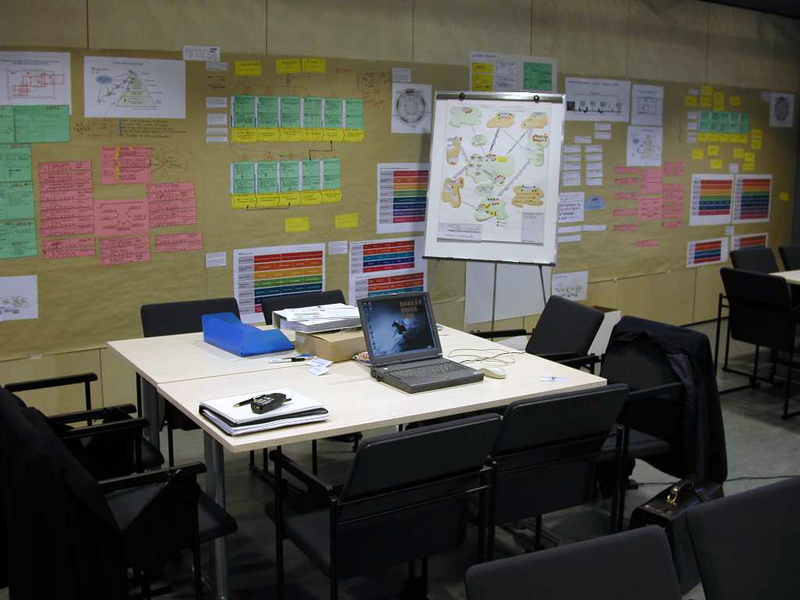 Industry Innovation Co-Operation: Organized cooperation with university experts in an Innovation Lab to design / pilot new business scenarios and validate key performance indicators as measured in the live operations of Lighthouse clients. Teamwork Achievements: Positive team contributor of content, contacts and analyses to reinforce group achievement of total Discrete Industry cluster revenue >$400 million. Industry Thought Leadership: Worked with CXOs of large and small client organizations to develop enterprise solution architecture framework and align IS/IT deployment roadmaps with business strategies and expected outcomes. Publications: Co-authored “Adaptive Enterprise” article describing Innovation Lab approaches to optimizing manufacturing supply chain agility and responsiveness to market change. An international charitable healthcare project collaboration under the lead of Dr.Dhawesuk Tang purposed with the development and implementation of palliative and hospice services providing specialized care and pain relief to terminally ill patients. Accountable for developing and delivering value-based SAP-Client Lighthouse Cooperation programs with Fortune 1000 organizations globally. Program Management: Instituted strategic sales initiative, “Value Management Optimization” to identify and cooperate with clients having greatest financial / networking potential to drive change and create business process standards within industry ecosystems. Leadership: Established client CXOs-SAP cooperation programs based on alignment of IT investments with windows of business opportunities, resulting in new, just-in-time IT-enabled decision-making capabilities to support business objectives. Sales Excellence: Improved portfolio win rate to > 80% over 18 months, directly securing SAP software and services revenue with Lighthouse clients totalling >$25 million. Value-based / Consultative Selling: Assembled international teams to work on high-value business process scenarios in manufacturing, PLM, SCM and CRM with Industry Lighthouse Clients. Global Sales Teamwork: Coordinated / trained teams on value management methods and tools; increased and secured new / hidden sales opportunities via cross-border teamwork on client IS/IT strategy and resulting value-based sales engagements. Authorship: Developed and published collaborative value management methodologies. Generated new pipeline opportunities and directly supported Nordic sales >$10 million. Trained sales, business development and consulting teams on value selling methods and tools. Developed and published Enterprise Solution Strategy value-based selling methodology. Managed development of SAP solution implementation methodologies. Organized and conducted field consulting workshops as inputs to methodology development. Provided SAP solution consulting services to large and small manufacturing Clients. Supported sales engagements and mentored new-hire consultants. EEC Industrial Engineering, Co. Ltd.
Thai-based Engineering design and construction firm serving building and infrastructure segments nationwide.